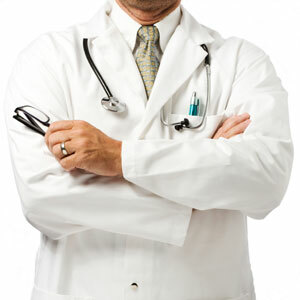 Dr.Malpani's Blog: Is it all right for doctors to lie ? In this day and age of patient empowerment, the simple answer to this question is - No ! Doctors have a moral obligation to tell the truth to their patients - and they should be frank and forthright, even when providing bad news. Reality is of course far more complex ! Sometimes telling the truth may not be in the patient's best interests, but it's often much safer and easier for doctors to tell the unvarnished truth, if they want to protect themselves from lawsuits ! Most thoughtless doctors will adopt this approach, so as to avoid problems for themselves and to save them the time and trouble of having to think about what to tell the patient and how to do so. Good doctors, on the other hand, understand that they have an obligation and duty which is far more complex. They will tell the truth, but in such a way that the patient they are talking to will find this palatable. The truth is that there are many ways of telling the truth and kind doctors will adapt their style according to their patient's needs . It's an integral part of the doctor's role to never take away a patient's hope - and all doctors know that often their ability to provide a prognosis is flawed and unreliable. It never hurts to be kind and good doctors will tailor the way they tell the truth to their patients and the family members. There is no simple formula which can be applied mindlessly to all situations. This is a skill which needs to be learned the hard way - through trial and error, and time is the best teacher. A thoughtful doctor learns with experience, and how a doctor tells the patient an unpleasant truth is one of the major differences between a good doctor and a bad doctor ! I found out the hard way all Doctors and surgeons lie if it serves thier perpose. I went to Dr Dasher at UAB Highlands for a colonoscopy. Was told that he was good by my primary Dr. And his office but was never told I would be used as a practice dummy and would not have known if I been keeped asleep. But I wake up in the middle of the procedure in pain, and stayed awake for the last 30 min. listening to Dr. Dasher instruct Mickey Mouse. For 4 months I was told by UAB Doctors that I had been ruffed up and nothing could be done for me spent a year in pain.